Welcome to my blog! This week's Heart2Heart Challenges theme is "Change". My project is a single page layout featuring Close To My Heart's Adventure Fundamentals Paper. The layout was inspired by Jeanette R. Lynton's Half & Half Simple Frames pattern found in her Reflections Scrapbook Program. 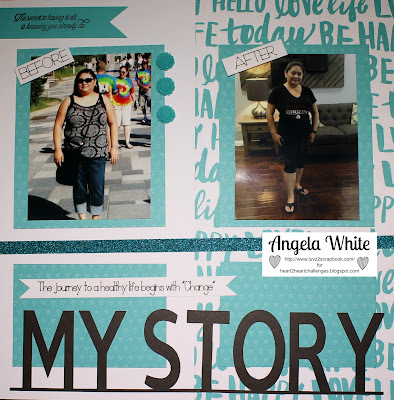 The layout I created is the story of my change to a healthy life. I decided a year ago that I had to change.. I had to lose weight and be healthy not only for me but for my family. I changed my eating habits, exercised and became more active. All these changes helped me lose 50 lbs in a year and I feel so much better now that I'm healthy. 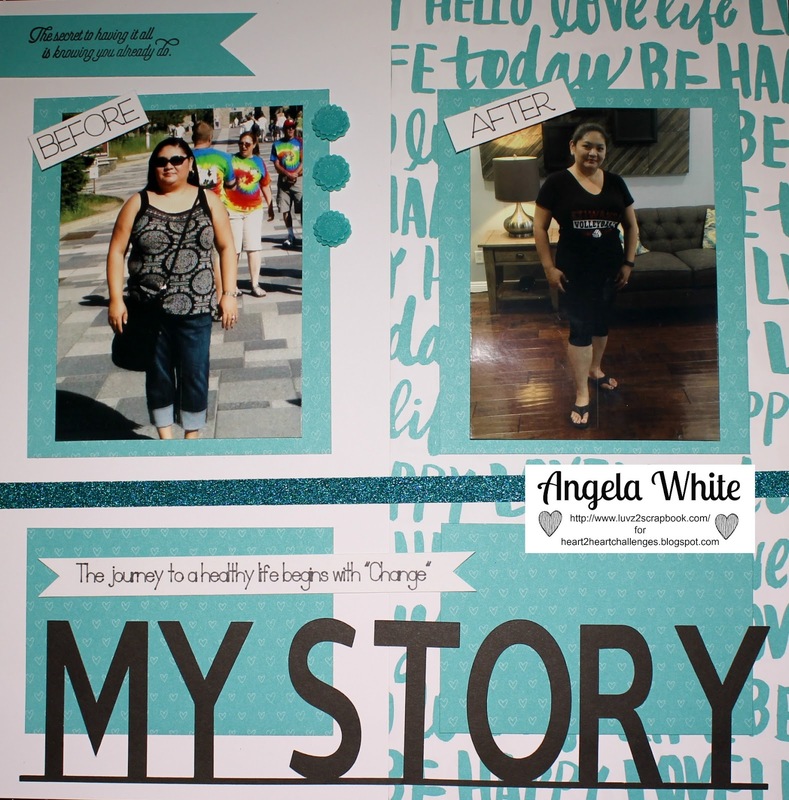 I hope that my story will inspire others to make the "Change" they need in their lives.